Robert R. Kimmel has had actual representation in several thousand cases involving citizens in divorce, child custody, visitation and other divorce-related matters since he began practicing law in 1976. Bob is Board Certified in the areas of Marital and Family Law by the Florida Bar Board of Legal Specialization and Education. He has litigated divorce cases involving literally millions of dollars, and divorce cases where the dollar amounts were small but the welfare of the children was the key, more important issue. Mr. Kimmel has taken similar cases all the way through to the Florida Supreme Court. He has actual courtroom experience before family law judges in Escambia, Santa Rosa, Okaloosa, Walton and several other Florida counties. 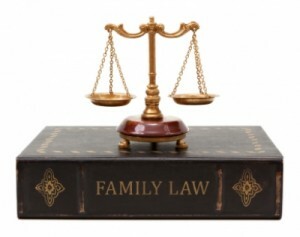 As part of his family law experience, Mr. Kimmel spent five years as a Supreme Court Certified Family Law Mediator, where other lawyers brought their clients to his office to settle the case with Mr. Kimmel presiding as the assigned mediator. Mr. Kimmel would be happy to meet with you for a reasonable consultation fee and, at the end of that initial conference, discuss the retainer and other payment arrangements.